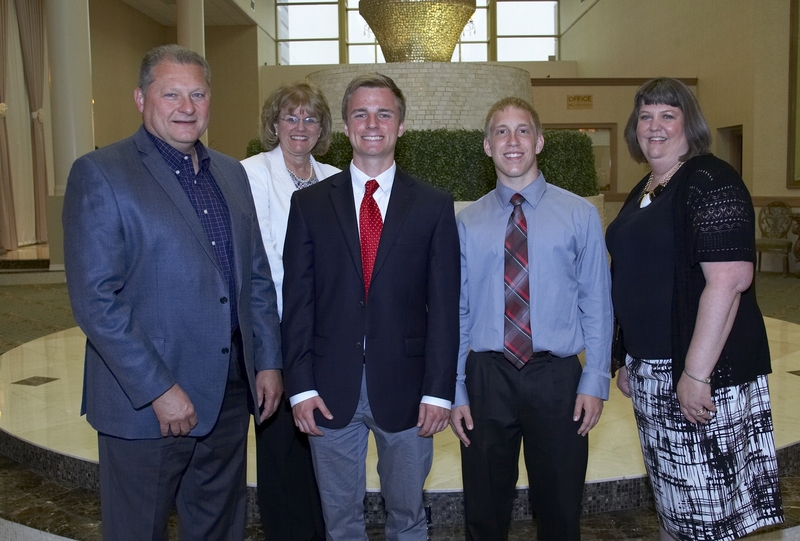 ROLLING MEADOWS, Ill. -- Aug. 7, 2014 -- Northrop Grumman Corporation (NYSE:NOC) recently announced the winners of its 10 th annual Engineering Scholars program in the greater Rolling Meadows community. The program will provide college scholarships this fall to two graduating high school seniors interested in studying engineering, computer science, physics or mathematics. Rick Hallman of Prospect High School and Nicholas Ratajczyk of William Fremd High School each received a merit-based scholarship for their excellent academic achievement and community involvement. The $10,000 scholarships are payable in $2,500 annual installments over four years. "We are proud to support these bright and promising young students," said Jeffrey Q. Palombo, vice president and general manager of Northrop Grumman's Rolling Meadows-based Land and Self Protection Systems Division. "These well-rounded students have incredible test scores and high grade point averages, but they're also involved with other aspects of their school and community. We look forward to watching them continue to excel in school and in life." Hallman founded the Prospect Programming Club and has been active with FIRST Robotics, helping his team win Regional and World Championships. He has been recognized as a National Merit finalist, an AP Scholar with Distinction, an Illinois State Scholar and is a member of both the National Honor Society and National Technical Honor Society. He will be attending the University of Illinois at Urbana-Champaign as a James Scholar studying computer science. Ratajczyk has been recognized as an AP Scholar as well as an Academic Scholar through William Fremd High School. He is a student-athlete who has also served as a student ambassador to help incoming students and parents become acclimated with the school. He regularly volunteers at his church and will study electrical engineering at the University of Illinois at Urbana-Champaign. A committee of Northrop Grumman employees selected the Engineering Scholars winners. To be eligible, each scholarship applicant had to be a resident of Rolling Meadows, Arlington Heights, Hoffman Estates, Inverness, Mount Prospect or Palatine, and be a graduating senior this spring from a public or accredited private high school in the state. Applicants also had to have a minimum composite SAT score of 1,700 or ACT score of 27 and a minimum GPA of 3.5. Recipients of any other Northrop Grumman-sponsored scholarship were not eligible. The committee also took into consideration work experience, community involvement and extracurricular activities. Northrop Grumman is a significant financial and in-kind contributor to educational outreach programs aimed at encouraging young people to consider engineering and science-related career fields. The company supports multiple projects and programs to excite student interest in science, technology, engineering and math.